Above is our pathway for Sharks Swimmers. As you can see, we have multiple avenues for athletes to join and enjoy their swimming with the club. Our Performance Pathway offers athletes the opportunities to compete with the best athletes around the country, and train to be one of the best in the world. 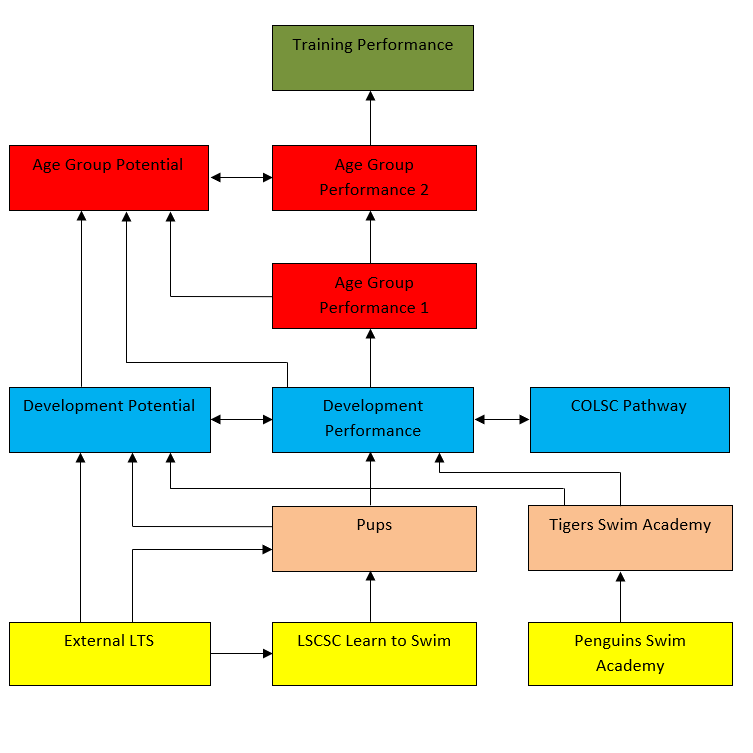 ​Our Potential Pathway offers opportunities to all athletes to swim in a club environment, to improve themselves as swimmers, without the demand for full time training.